One of four new hires for the KSA, Jewelles Smith will serve as the Policy and Political Affairs Coordinator, seen here with her service dog DaVinci (Ashley Hyshka). Over the summer, the Kwantlen Student Association has embarked on a mission to fill multiple vacancies on staff. The positions which have been filled are for the Policy and Political Affairs Coordinator and Clubs and Outreach Coordinator. The Sustainability Coordinator and MultiPass Program Coordinator positions are currently occupied but will be immediately filled by new hires once they become vacant. The policy and political affairs coordinator, who started in July, is the only new hire who has begun working so far. The other three are slated to begin in late August and September. “[Those staff members] were chosen because they had the qualifications and we feel they’d be a good fit,” says KSA President Caitlin McCutchen. Jewelles Smith, the new policy and political affairs coordinator, says that her education and training has prepared her specifically for her new endeavour with the KSA. “My role is to support students in areas that engage everything from campaigns to how policies impact them to human rights,” says Smith. A PhD candidate at the University of British Columbia Okanagan, Smith says she applied for the position with the KSA due to her previous work on policies regarding human rights, women’s rights, and the rights of people with disabilities. After her sons graduated from high school, she was able to pursue full-time employment outside of Revelstoke, where she previously lived. “So now this opportunity opened up. It’s a permanent, full-time position in a related field of my strengths, and so I just jumped at it,” she says. In addition to being a PhD candidate, Smith is also an advisor for the National Educational Association of Disabled Students and has been trained as a human rights monitor. She is also the chair of the Council of Canadians with Disabilities. Her first major initiative with the KSA is helping McCutchen collaborate on a consent campaign, which she says will be launched during Welcome Week. She feels that students with disabilities deserve more representation on campus, adding that they too often fall through the cracks and are unaware of potential services and grants that are available to them. “Often their voice is lost in discussions around everything from housing to student loans to how to engage your professor when you need accommodations in the classroom, and when those fail, how to support students to access appeals,” she says. Smith is glad that she was able to start working before the new school year began. 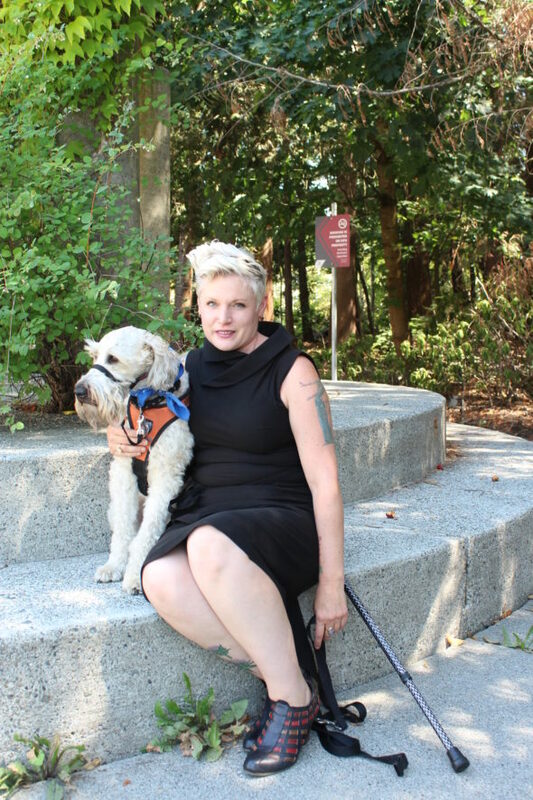 She says that this is giving her and her service dog, DaVinci, the opportunity to become accustomed to their environments before the influx of students in September. “I’m excited to start meeting students and to engage in policy at all levels here, and really get deep into my role,” Smith says.